We performed a time series analysis to investigate the potential association between exposure to ambient air pollution and type 2 diabetes (T2D) incidence in the Chinese population. Monthly time series data between 2008 and 2015 on ambient air pollutants and incident T2D (N = 25,130) were obtained from the Environment Monitoring Center of Ningbo and the Chronic Disease Surveillance System of Ningbo. 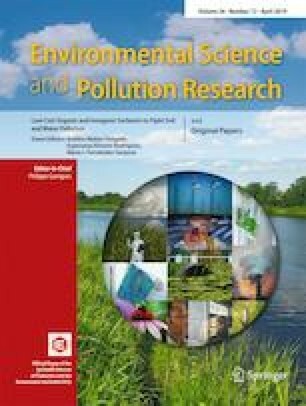 Relative risks (RRs) and 95% confidence intervals (95% CIs) of incident T2D per 10 μg/m3 increases in ambient air pollutants were estimated from Poisson generalized additive models. Exposure to particulate matter < 10 μm (PM10) and sulfur dioxide (SO2) was associated with increased T2D incidence. The relative risks (RRs) of each increment in 10 μg/m3 of PM10 and SO2 were 1.62 (95% CI, 1.16–2.28) and 1.63 (95% CI, 1.12–2.38) for overall participants, whereas for ozone (O3) exposure, the RRs were 0.78 (95% CI, 0.68–0.90) for overall participants, 0.78 (95% CI, 0.69–0.90) for males, and 0.78 (95% CI, 0.67–0.91) for females, respectively. Exposure to PM10 and SO2 is positively associated with T2D incidence, whereas O3 is negatively associated with T2D incidence. Hui Li and Donghui Duan are co-first authors. The online version of this article ( https://doi.org/10.1007/s11356-019-04971-z) contains supplementary material, which is available to authorized users. The study is supported by grants from National Natural Science Foundation of China (81402745); Natural Science Foundation of Zhejiang Province (LY17H260002); K. C. Wong Magna Fund in Ningbo University; the Ministry of Education, Humanities, and Social Sciences project (14YJC630046); China Postdoctoral Science Foundation funded project (156458); Jiangsu Postdoctoral Science Foundation funded project (1601121B); Ningbo University Scientific Research Fund (XKL14D2098); National Natural Science Foundation of Ningbo (2017A610219); and Ningbo Scientific Innovation Team for Environmental Hazardous Factor Control and Prevention (2016C51001). The study was approved by the institutional review board of Ningbo Municipal Center for Disease Prevention and Control. All the participants provided written informed consent.